Wondering the story is on Femap with NX Nastran? Femap is a finite element modeling and post-processing environment. It interacts with solvers such as NX Nastran to model physical behavior to assist in the drawing of conclusions about said behavior. Solvers typically require strict text file-based formatting of your analysis setup, which nobody does directly anymore. Instead, programs such as Femap are used to prepare those text file inputs to the solver using a combination of a modern graphical user interface built-in functions to automate tedious tasks. NX Nastran is a separate “solver” product that is usually bundled within Femap. NX Nastran is an actively-developed offshoot of the Nastran code base, but is one of the most common solvers for finite element analysis (FEA). Nastran is essentially the math behind FEA. As a pre-processor, Femap assists with building a model of a part, and then translates it into Nastran code. Nastran then computes the behavior. Following this, Femap reads the results and provides interpretation tools to facilitate the processing of output data. Oftentimes, the amount of information from the model is substantial, and Femap can enable a more rapid understanding of gross behavior. 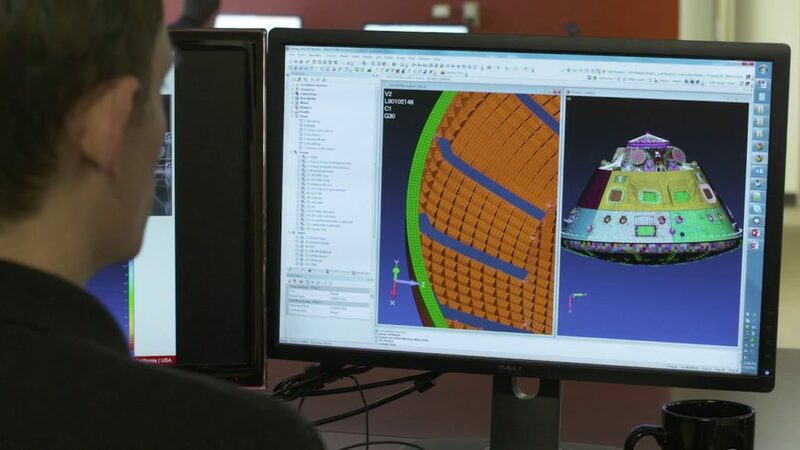 An engineer uses Femap to assess part behavior at a computer workstation. Who uses it? The typical user of this software set can be a university researcher characterizing some phenomena for the first time, or an aerospace industry professional completing a standardized analysis on an aircraft part to show that it will survive the rigors of intended usage. Femap has run away from it chief competitor MSC Patran in recent years due to prolonged development neglect from the MSC side. Femap is a very mature and refined program in comparison, and there has thus been an uptick in exposure and usage. Siemens PLM Software has devoted a good amount of resources into the Femap development. This enthusiasm is match by the developers who put out this amazing software product. If you are looking purchase Femap, we recommend reaching out to us! What’s the deal with licensing? Femap is a Windows-only application. It can be licensing as “floating”, which is also called a network license. Users on an office network can “pull down” (temporarily reserve for use by a single user) as many virtual licenses from a local server as are available. It can also be licensed as “node-locked”, which requires a USB dongle be plugged into the computer to enable the program. Additionally, there are ways to check out network licenses for use outside of the home network for a period of time. Both are products of Siemens PLM Software. Licenses for each can be purchased individually, but a bundled Femap with NX Nastran package is the most efficient way to get started with FEA analysis. More licensing methods and option packages are available for advanced users. 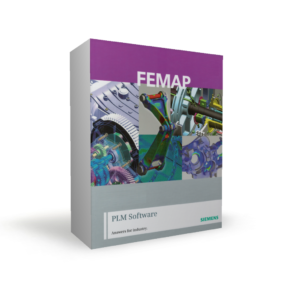 Femap is sold by Siemens resellers, also called VARs (“Value Added Reseller”). We are partnered with a VAR, so use our contact form if you would like a quote. How does Femap compare to NX (or Simcenter)? Read this page for more information regarding the differences between these two programs.